Rosemary and Honey Braised Figs with Cheese are like a gift from heaven on a cold fall night. Pair them with a glass of your favorite red wine and you will hear the angels sing! Serve the braised figs on a cheese platter for a more rustic look or plate them as a single serving when you are feeling fancy and serve them as a French Dessert. The best advice for choosing fresh figs is to buy them when they’re ripe. Figs don’t really ripen after they’re picked so look for figs that are already soft and feel like water-balloons. Avoid Figs that are hard and chalky since they will never be good or syrupy like the ripe and soft ones. 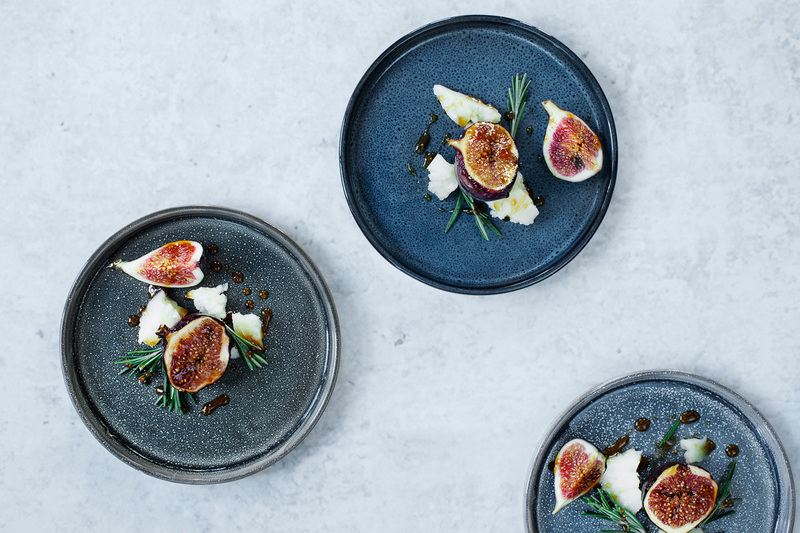 Figs go with every type of Cheese – no matter if they are fresh, dried, in a jam or braised! It is very popular to serve figs with blue cheese but since I am not a big fan of blue cheese I chose Manchego instead. Feel free to serve the figs with your favorite cheese or assemble a large cheese plate with a great variety of cheeses. 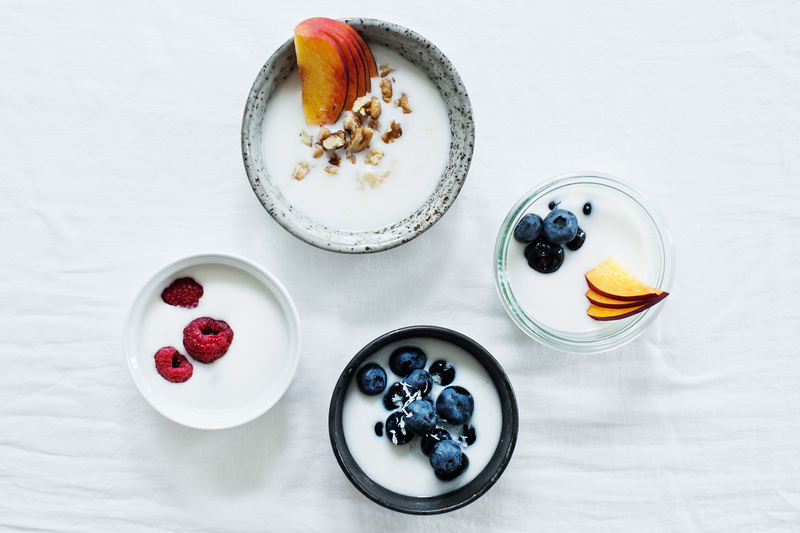 If you are feeling wild, these figs are also great with greek yogurt and granola for breakfast! If you have not access to fresh figs check out my lovely Fig Jam with Rum or my Classic Fig Spread. Those are both made with dried figs that are available in all major supermarkets. Also, this Lentil Salad with Figs is packed with flavor and textures and goes great with all kinds of meat for the days you are not in a cheese mood! Over low heat, melt honey, vinegar and olive oil together in a pan. Then add rosemary and let simmer for a little while (1 minute). Increase the heat just a little bit so that the syrup starts caramellizing. Cut the figs in halves and place them cut side down in the rosemary syrup. Braise them for 2 minutes or until they start to soften. Serve with cheese and drizzle with the leftover syrup from the pan.